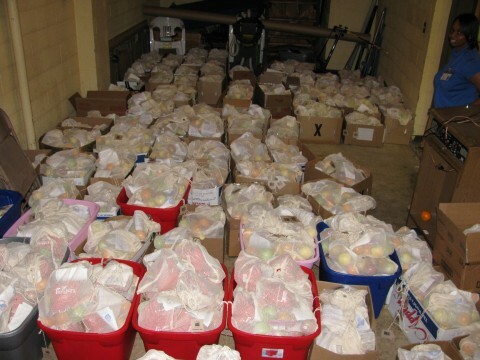 For the past couple of years, we’ve received rather large orders from the Richmond County Department Aging Services in Rockingham, North Carolina and I’ve always sort of wondered, hmm I wonder what they do with all those bags, but have been too caught up in the holiday season buzz to delve further. Well, this year I made it a point to contact a few customers who inspired inklings* of interesting stories (hey, if it wasn’t you don’t be offended. By inkling I mean slap in the face). So, back to the important stuff. 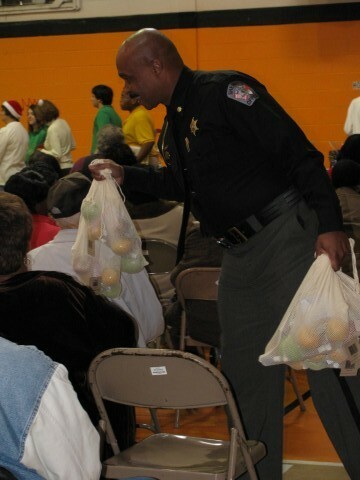 Richmond County Department of Aging Services held their 31st Annual Senior Christmas Party this past December and they distributed fruit, snacks and gifts in a whole bunch of ECOBAGS – 1400 to be exact! Just look at all these gorgeous, smiling faces! It must be the winning combination of good will, positive action, the holiday season and ECOBAGS. It seems to have that effect on people. *On the note of inklings, if you have an interesting (or even dull – heck, one man’s dull is another man’s sliced bread) story of how you use your ECOBAGS, give us a shout and we’ll include your story and spiffy photo on our blog!